Studded Bangle. Dimensions: 3” diameter, 1.5”h. 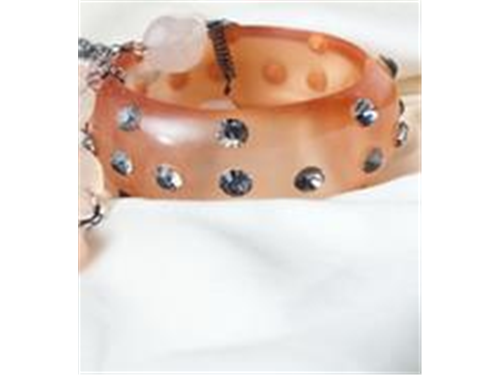 Material: Peach resin studded with rhinestones.